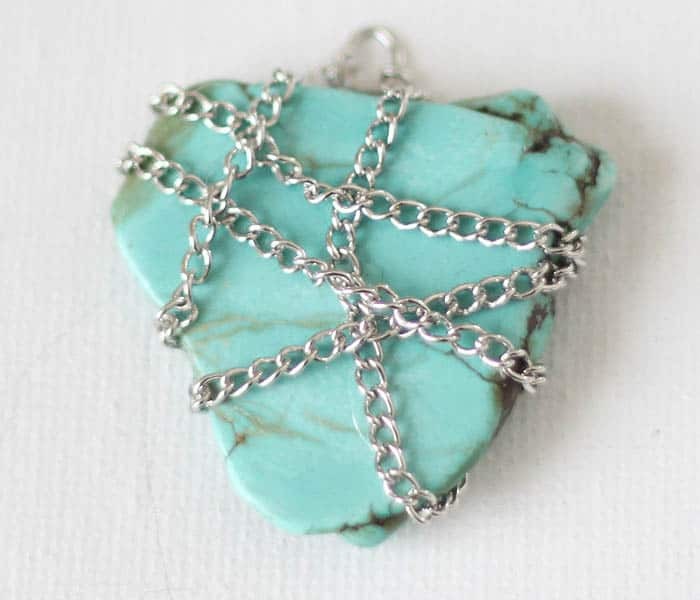 I decided to try a twist on the traditional wire wrapping technique and use chains instead. 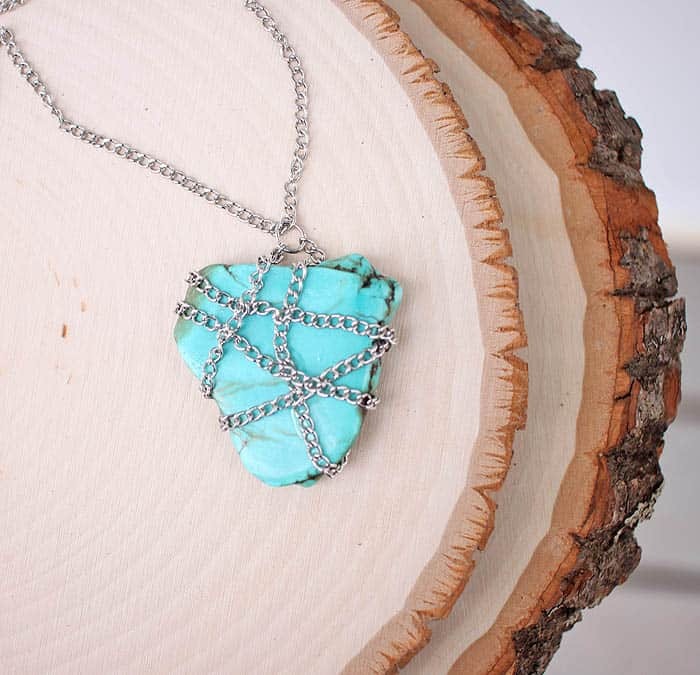 This alternative is easy to do and it will work on any large stones. 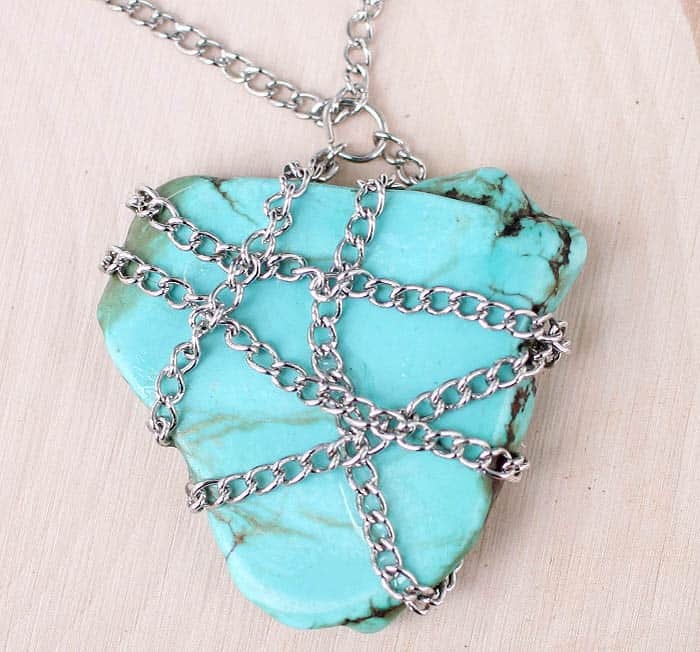 I love the mix of the natural turquoise stone and the industrial chains! 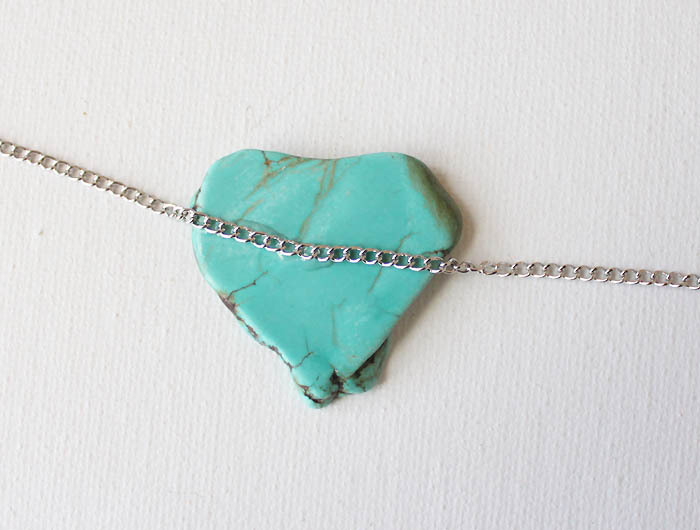 Place a thin line of glue on the stone and put the middle of the 10″ chain on to it. 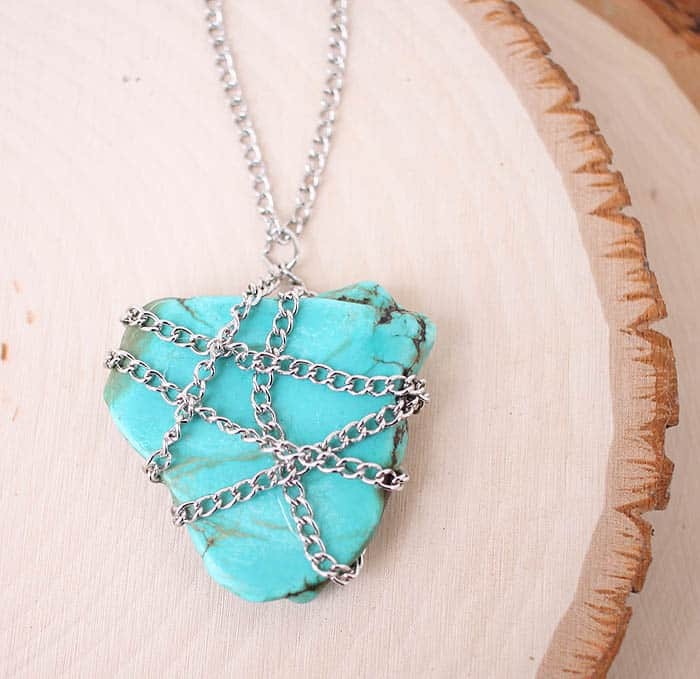 Wrap the chain around the stone, gluing it down as you go. 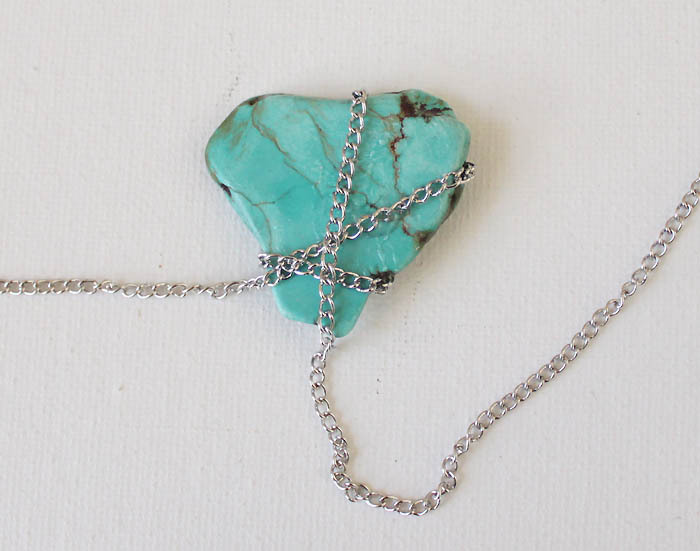 Wrap the chain both horizontally and vertically around the stone, leaving the 2 end pieces at the top. 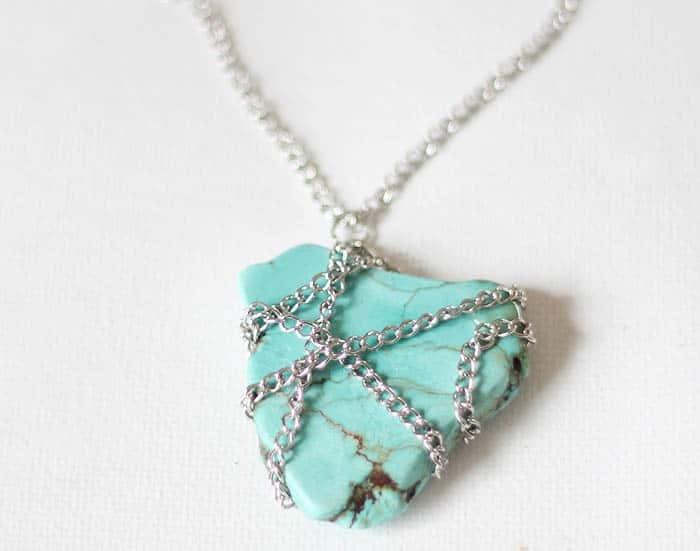 Using the jewelry pliers, attach the jump ring at the top of the stone, connecting the ends of the chain. 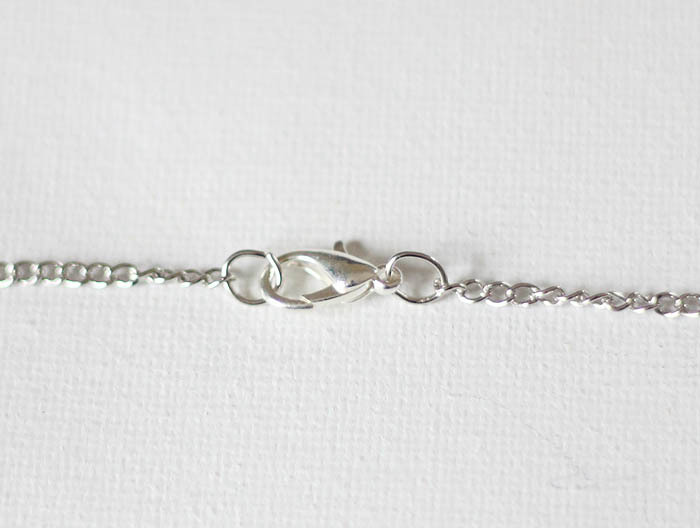 String the 20″ chain through the jump ring. 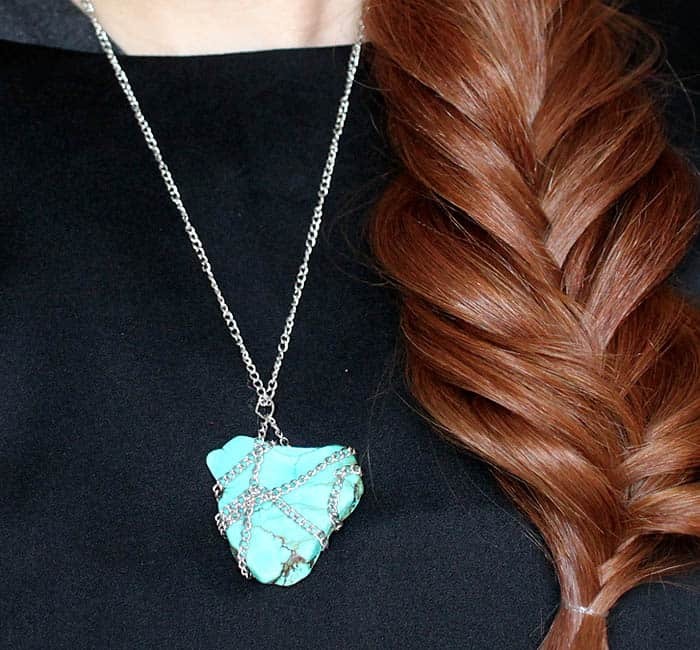 Using the jewelry pliers, attach the necklace closure.